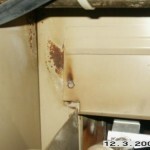 On this page we will show you some of the defects discovered during a home inspection and explain them. 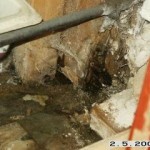 Excessive moisture results in wood rot and mold growth. This presents both structural and health issues. Poor clearances to combustibles result in overheating of the drywall and impact safety. Hard wired electrical stove is not allowed and should have a proper plug with receptacle. 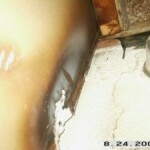 Defective flashing will result in water damage of the roof sheathing and insulation. 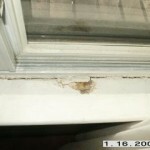 Moisture damage from leaky window. 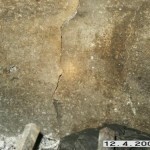 Cracked fireplace wall require immediate repairs or replacement. 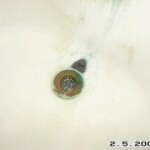 Water leaking through the rusty bath tub will damage finishes below. 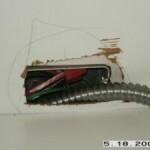 Knob and tube wiring can present issues for obtaining house insurance.